Nineteen year old Berie doesn’t know what she wants out of life, but she knows it’s not college, so when a charismatic stranger offers her refuge with a new kind of family, Berie wants nothing more than to become a part of it. Love the cover, plus it’s a debut! 19-year old joins an “off-the-grid” community. An Off-the-Grid Community – I found the setting of The Ash Family incredibly appealing. To begin with, a self-sustaining farm in a mountain holler provided a rich background for “Harmony’s” new life. 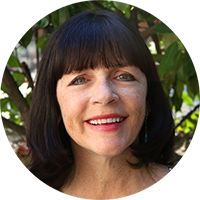 As she learned about the rigors of caring for cows and sheep, growing crops, surviving harsh winters and reveling in the abundance of summer, so too did the reader. Then, just as Harmony learned about the philosophies of the Ash family’s charismatic leader, so did the reader. As she struggled to understand what life in the Ash family meant, so too did I. Queen – Of all the characters in The Ash Family, I most appreciated Queen. Another young woman adopted into the family, Queen somehow had held onto parts of her own life. She was ashamed of her past and remained devoted to the family, but she also questioned the rules and even stood up to them. Incredible Naivety – As much as I liked Berie/Harmony, her willful naivety became frustrating because it seemed too unreal. So much happened around the farm that Harmony just accepted without question. She seemed like too smart a girl to turn a blind eye as often as she did. Even the fact that she didn’t want to go to college, but hadn’t talked about it with her mom felt so unlikely. Dektar provided reasoning for these things, but I had a hard time buying into those reasons as often as Dektar asked me to. Too Little Character Development – Other than Queen, the reader never really learned much about the other members of the Ash family, outside of their interactions with Harmony. Understanding the leader, Dice, and his right-hand man, Bay, might have provided a little more balance to the story. The First 20% – If you plan to read The Ash Family, be prepared to keep going through the very slow start to Berie/Harmony’s story. I nearly DNF’d it, but trapped on a plane, I kept going. I’m very glad I did! 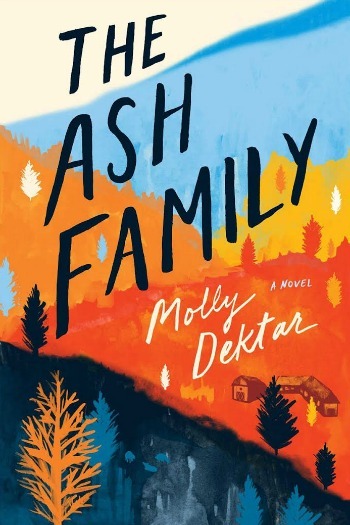 Once Berie’s story finally began to come together I was much more engaged and eager to discover where debut author Molly Dektar was taking me. Note: I received a copy of this book from Simon & Schuster (via NetGalley) in exchange for my honest review. Thank you! OK – I think I’m going to pass on this one. I think that’s a good call for you. I’m really interested; adding to my list. Let me know if you read it. I’d like to know what others think of it. I’ve read elsewhere about the lack of character development. Thank you for the honest thoughts; this one is a pass for me too. Thanks, Madeline. Glad I could help you shorten your TBR list. I love how our thoughts and reviews on books complement each other! You always probe different aspects than I do, but we end up at the same place. I agree that Berie up to the point where she is made to feel she can’t leave (don’t want to be specific for spoilers, but you know what I mean). After that, she feels she has no choice. But getting to that point? A bit incredible. I loved the ‘natural’ aspects of the story- even if there is no way I would ever live without indoor plumbing! I was really drawn to this book for the communal living, enviromentalist aspects as well, and like you struggled with parts of this book. I had a hard time with Berie and her mother’s relationship. I was never quite certain what that the problem was, why Berie made some of the decisions she made, and how they circled back to her mom. I agree, there was not much character development when I would have loved to know more about some characters. And there was not a character I actually really liked! Lol. Berie did drive me crazy as well, with her willful ignorance. However, I ended up really loving this book anyway!